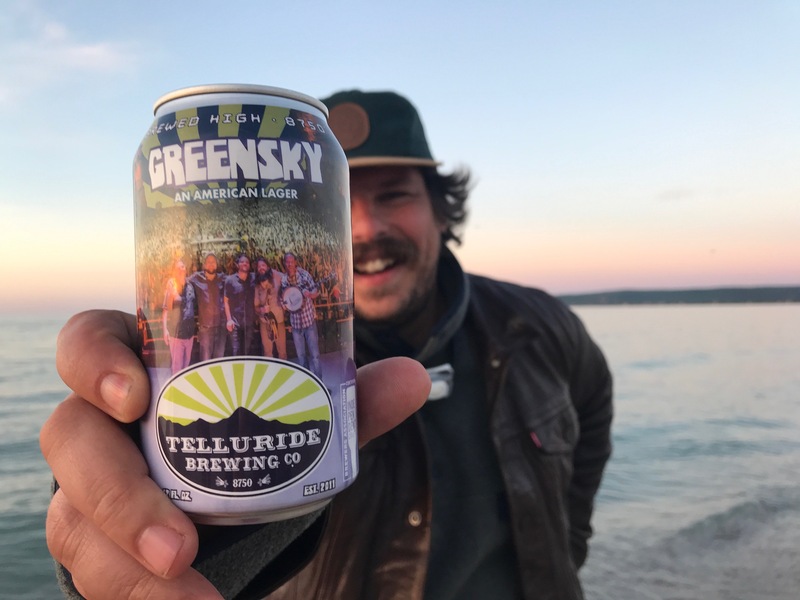 Telluride, Colo. – Telluride Brewing Company and Greensky Bluegrass are proud to announce the release of their collaboration beer, Greensky – An American Lager, available in cans for the first time in a limited run through the summer of 2018, hitting shelves around the state on June 11th. The long-awaited can release of this four-year-old collaboration will be celebrated throughout Colorado with parties hosted by Telluride Brewing at Avanti F&B in Denver (6/19), Rocky Mountain Underground in Breckenridge (6/20), The Balcony Backstage in Durango (6/22), The Colorado Room in Fort Collins (6/23), The Rayback Collective in Boulder (6/28), and Front Range BBQ in Colorado Springs (6/29). Born out of friendship and a passion for music, the outdoors, and great beer, this seasonal brew is a crisp American-Style Lager with a distinct Mosaic hop flavor and aroma. Greensky weighs in at a sessionable 5.2% ABV, and is the perfect accompaniment to live music and the warm days of summer, especially now that it is available in cans for the first time. After meeting in the brewery tasting room in 2012, Telluride Brewing co-owners, Chris Fish and Tommy Thacher, and Greensky guitarist, Dave Bruzza, became fast friends over their shared love for bluegrass and dynamic beers. As years passed marked by annual Telluride Bluegrass Festivals and many beers were drunk by the boisterous group of brewers and musicians, a brotherhood was formed between Telluride Brewing and Greensky Bluegrass. When the band was selected to headline the 2014 Telluride Bluegrass Festival, Fish and Bruzza put their creative minds to work on a collaboration beer to be released in celebration of the event. With Bruzza’s guidance and the crisp, clean American-Style Lager as his backdrop, Fish went to work, choosing his favorite hop, Mosaic, with its earthy, fruity notes, as the key ingredient. The result, Greensky – An American Lager, is both refreshing and sessionable at 5.2% ABV, but strays from the ubiquitous lager that inspired it in all the right ways. Greensky – An American Lager is available now on draft at Colorado’s best beer bars and, for the first time ever, on the shelves of liquor stores around the state, just in time to enjoy at Greensky Bluegrass’ shows during Telluride Bluegrass Festival (6/21-22) and holding out until the end of summer shows at the Ogden Theatre (9/21) and Red Rocks (9/22-23). Telluride Brewing Company crafts gold-medal beer in the heart of the Rocky Mountains in Telluride, CO. 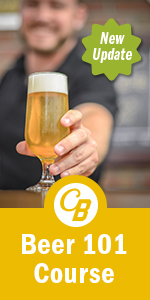 Brewed with premium malts and worthy hops, the beers it produces are distinct yet classic. In just six years, the brewery has grown from a local favorite to a statewide sensation, serving up its beers in kegs and cans throughout Colorado. 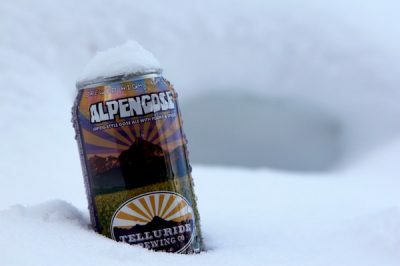 Telluride Brewing Company has earned accolades for its Whacked Out Wheat at the Great American Beer Festival (2015) and the World Beer Cup (2016, 2018) and for its Face Down Brown at the World Beer Cup (2012) and the Great American Beer Festival (2012, 2014, 2016). Telluride Brewing Company cans its Face Down Brown, Tempter IPA, Fishwater Double IPA, Whacked Out Wheat, Bridal Veil Rye Pale Ale, Russell Kelly Pale Ale and Greensky Lager. For more information, visit www.telluridebrewingco.com, and follow @telluridebrew on Twitter, @Telluridebrewing on Instagram, and /TellurideBrewing on Facebook.